Discussion in 'Pavtube Software Studio' started by PavtubeVideo, Nov 16, 2012. Crazy Discount for Thanksgiving: Thanksgiving always brings us to thoughts of spending time with family and friends. It also gives us opportunity to get Thanksgiving Giveaways and purchase low-cost deals. To express sincere and gratitude to our old and new customers, Pavtube Studio offers "Buy One Get One Free" treats and up to "50% Off discount" sales during this special festival. Offers valid from No.14 to Dec. 10, 2012. Never miss the chance to join the promotion to get the Crazy Discount for Thanksgiving from Pavtube to backup and copy Blu-ray/DVD and various formats of 1080p/720p videos to your Microsoft Surface RT or Pro tablet, Android os devices and iOS devices. Action Now!!! MKV, VOB, MTS, M2TS, TiVo and many other must be converted to .mp4 format before you're able to sync them to your Surface RT or Pro tablet and other gadgets like Android tablet and Apple devices. The Pavtube Surface Video Converter helps you do the conversion job. 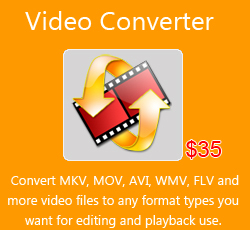 Buy one of the following Video Converters at full price, you will get DVD creator as Thanksgiving Giveaway. If you'd further like to convert DVDs to Surface friendly format for syncing/streaming to your Surface RT or Pro tablet, the Pavtube DVD Ripper for Surface is recommended. There are free tools that rips DVDs if speed is not your concerning. With about $14 more you can get the Blu-ray Ripper for your Microsoft devices, with Blu-ray cracking and converting feature for you to compress the Blu-ray yet DVD movies to MP4/WMV, etc for freely playback with your Surface RT and other devices.